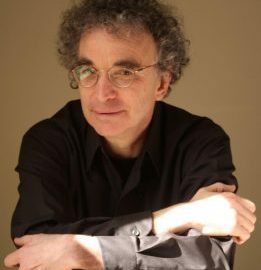 We spend the hour with Howard Mansfield, first talking about his new book, THE HABIT OF TURNING THE WORLD UPSIDE DOWN (Bauhan Press 2018). It’s about how American society treats property rights — and who pays the price. Then, we replay our 2013 interview with him about his book DWELLING IN POSSIBILITY: Searching for the Soul of Shelter. In America, private property is supposed to be sacred. But whose private property is sacred? Is the land of ranchers and farmers on the US southern border sacred when Donald Trump wants it to build his wall? Is the land of West Virginians and Pennsylvanians sacred when gas companies take it to drill and frack gas? How about people in New Hampshire and Massachusetts when oil and gas companies take it for their pipelines? 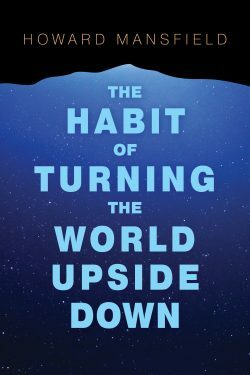 Mansfield’s new book The Habit of Turning the World Upside Down tells the stories of Americans living in a time in which everything is in motion, in which the world will be turned upside down, again and again. Writing about preservation, architecture and American history, Howard Mansfield has contributed to The New York Times, American Heritage, The Washington Post, Yankee and other publications. He’s the author of numerous books, including In the Memory House and The Bones of the Earth. Howard Mansfield’s books are grounded in a profound sense of place. They expand the way we see the world around us, considering time, space, landmarks and architecture. In 2013, we spoke with him about his book Dwelling In Possibility: Searching for the Soul of Shelter.